A furor of xenophobia has raged through Chinese social media since the historical Labor victory within the Australian parliament and the passing of the Medivac Bill. This outrage has been kept alive by major Wechat public accounts each releasing their new account of it every few days. The articles released by major Wechat public accounts such as ‘Australian Red Scarf’ have been incredibly sensationalised. Their article quoted heavily from the Daily Mail while also cherry picking crimes committed by people of middle- eastern descent, refugee or not. For example, the story of the 2016 Minto stabbing attack was used as an example of dangerous refugees, despite the fact that the perpetrator, Ihsas Khan, was born in Australia. This was then further compounded by Australian Prime Minister Scott Morrison, releasing a personal letter to the Chinese community. The letter attacked Labor for putting political victories above national security and how that the Liberal party have a plan prepared to steer the country to safety if elected. The first half of the Prime Minister’s letter to the Chinese Community heralded with Lunar New Year well wishes. The Chinese response has in turn been very negative for the left leaning parties. Definitely not voting for Greens or Labor. What more, the editor of Australian Red Scarf then doused the spreading fire with more oil. What’s the point of studying to get a permanent residency, can the editor please tell me how I can get refugee status, haha. The editor wants to know how to get refugee status too!!! News like this certainly will affect the upcoming Federal elections, especially in seats such as Chisholm. The Chinese heavy seat is currently contested by two Chinese candidates, with Jennifer Yang for Labor and Gladys Liu for Liberal. It will be interesting to see what developments happen in the future and how long this outrage will last or if more stories will be sensationalised. This entry was posted in All on February 16, 2019 by Tyrone. Taiwan’s Fascists – The Black Bear Army and the Taiwan Civil Government, an unrecognised separatist movement. The Black Bear Army are a paramilitary group on the East Asian island of Taiwan. They are the military arm of the ‘Taiwan Civil Government’ (TCG), a Taiwanese separatist government that aims to ultimately unite with Japan. 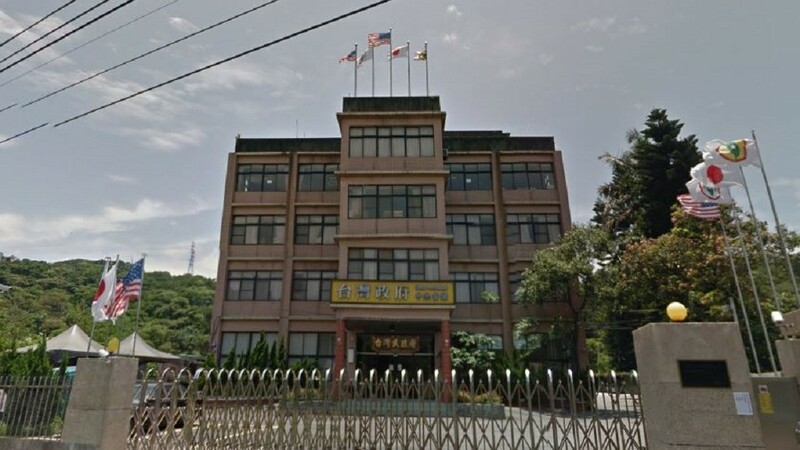 The TCG does not recognise the sovereignty of the Republic of China, Taiwan’s current government and instead recognizes the United States of America as the principle occupying power of Taiwan. The group was found and led by Lin Zhisheng, and had its roots in the Formosan Statehood Movement. This movement sought to make Taiwan become the 51st state of the United States of America. After Lin’s many failed attempts at lobbying the United States to establish a permanent intrusion on Taiwan, he turned his head towards Japan. Currently according to official reports, the Taiwan Civil Government has 36000 paying ‘citizens’ and features many levels of bureaucracy. 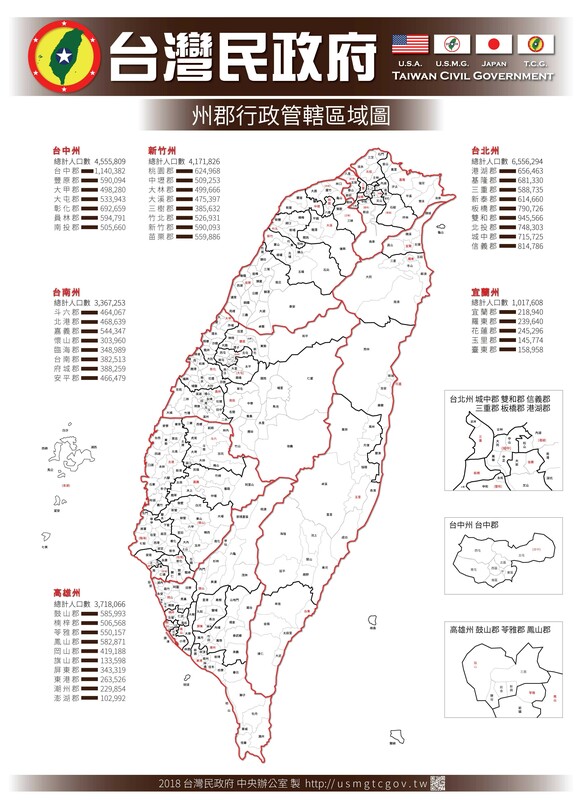 Their proposed state is divided up into 6 prefectures. 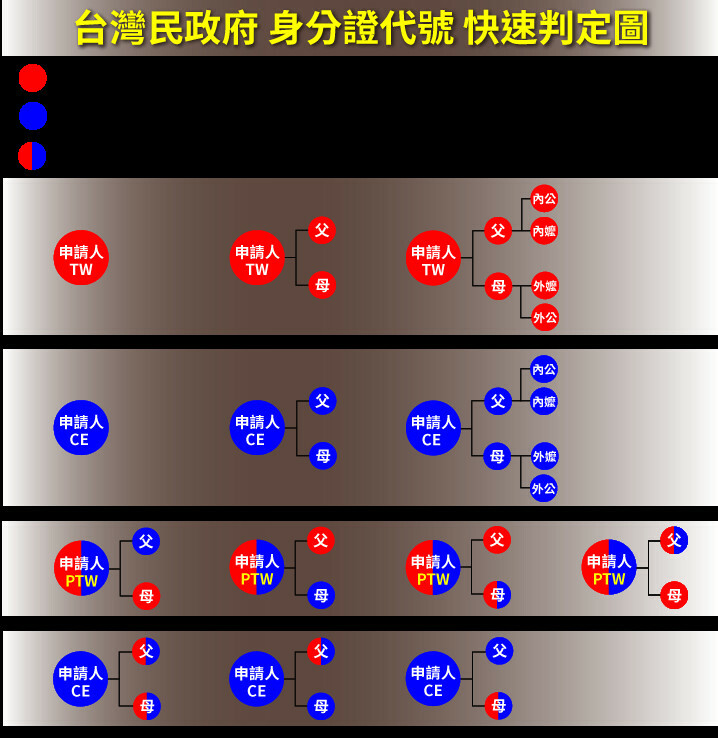 Taipei, Hsinchu, Taichung, Tainan, Kaoshiung, and Yilan. The TCG issue their own identification. Below is an application form for a ‘Taiwan Civil Government’ identification card. 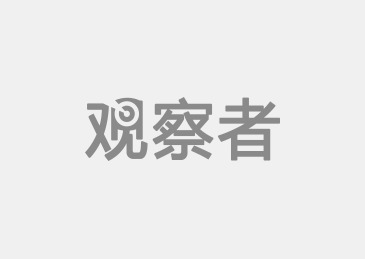 The application fee was last noted to be between 1000 to 1500 NTD. There is a caste system within the supposed ‘government’. Which one of the three ID cards you will receive will be down to your parent’s heritage. 1. TW identity cards are for descendants of colonial subjects of the Japanese colonial government on Taiwan. This is the highest tier and requires both the sides of the applicant’s family to have been a Taiwanese colonial subject of Japan, including grandparents. TW card holders are able to take part in Taiwan Civil Government politics and run for positions. 2. PTW identity card holders cannot hold office within the Taiwan Civil Government. These cards are for applicants who only have one side of their family being Taiwanese colonial subjects of Japan. 3. CE identity card holders are for applicants of some Taiwanese colonial subject descent. They also cannot hold office within the TCG. The Black Bear Army is well equipped. Apart from the instantly recognisable protective riot gear and batons, they have been known to use rubber bullets and air soft weapons against civilians and protestors. After the TCG barracks were raided by the police, they found stockpiles of rubber bullets and other legal weapons. 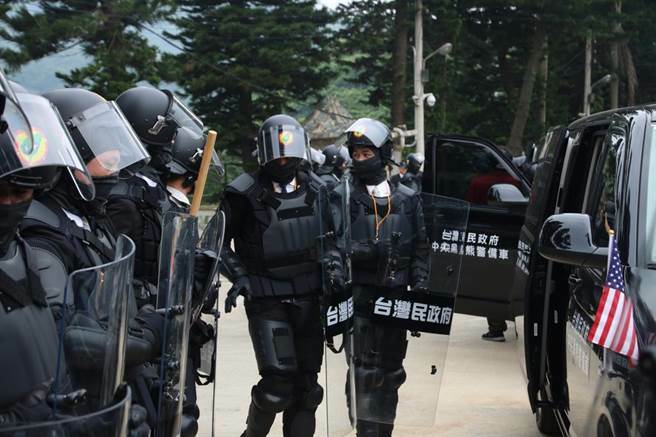 A Tainan leader of the group exclaimed that the police should hand back the confiscated weapons as they were the property of the US Military Government. It was last reported that the Black Bear Army had 120 permanent enlisted personnel. 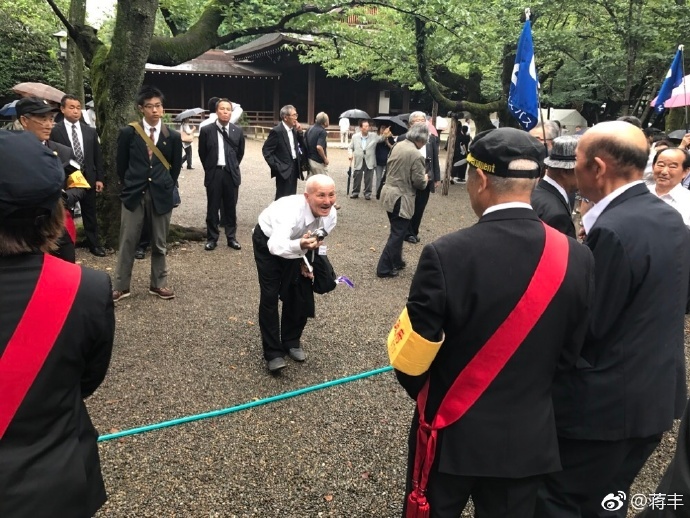 The TCG have yearly trips to Japan to ”pray for the Japanese Emperor’s long life” at the controversial Yasukuni shrine. These trips have drawn great ire from both Taiwanese Chinese and Mainland Chinese citizens, as the shrine houses many infamous war criminals responsible for Unit 731, Nanking Massacre, Comfort Women and many other war atrocities. 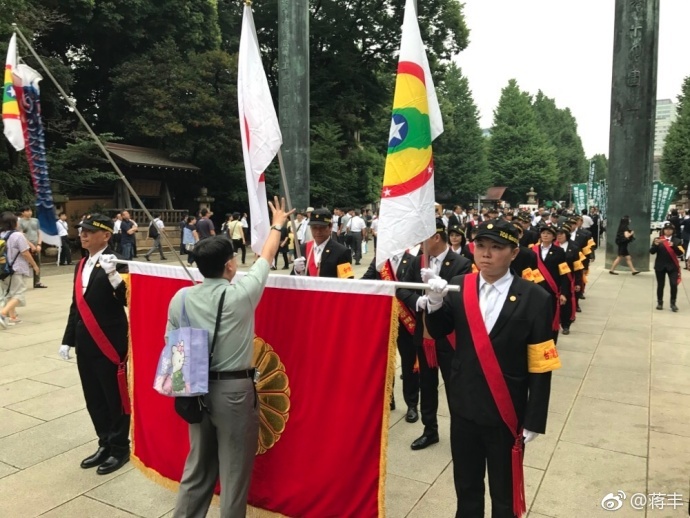 It can be said that Yasukuni shrine would be equivalent to Germany having a shrine for top level war criminals. Lin Zhisheng, the leader of the TCG and 5 other officials was arrested by the Republic of China (Taiwan) government for fraudulent activities in 2018. Government investigators found over 130 million NTD within their abodes, accusing Lin of misleading his members/citizens. Lin has responded by saying that he gained the money through legitimate business means. It is reported that the TCG made money through their identification cards, car registration plates, visas and public servant training classes. None of which were recognised or accredited by any official institutions or governments. The US government has also vehemently denied any connection with the group after TCG boasted of their products being officially recognised by the US Military Government. Visa free travel to the United States of America was also not possible despite it being another feature that was touted by the TCG. The IDs were sold for 1000-1500 NTD, Car plates and visas went for 6000 NTD. Classes were most expensive by far, going for 24000 NTD. After the Tsai Ing-Wen crackdown on the TCG, there has been questions on whether she did it due to rumours of her supporting them and it was a move to distance herself from them. The official view is that the Tsai acted due to violent and dishonest nature of the Taiwan Civil Government. This entry was posted in All on February 14, 2019 by Tyrone.